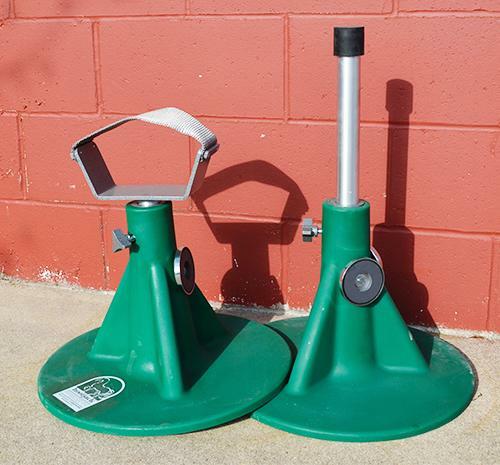 The Hoofjack is the perfect tool every ferrier should have! The Hoofjack comes with two attachments, the cradle and the finishing ball and is adjustable in height for any size horse. There is also a magnet on the side to hold your rasp. It comes in two sizes. The light horse size has a narrower cradle, while the draft size has a wider cradle.